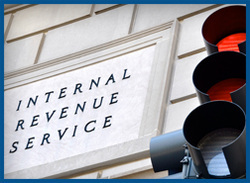 The IRS sends letters to U.S. citizens in the case of any issue with an individual's tax return. In most cases, the IRS may calculate a larger refund or more tax owed for various reasons, or missing information. If you receive a letter from the IRS, it will explain the purpose of the correspondence and provide instructions for a response. Please note, the IRS does not contact taxpayers by phone. If you would like the assistance of one of the accountants at Alan R. Deutsch & Associates to respond, please send a copy of the letter by email to mordy@ardcpa.com or by fax 072-244-9607.